After initially selling out, Walmart has the 38mm Apple Watch Series 3 back in stock for $199. That’s an $80 discount on the GPS model, and the lowest price we’ve seen to date. High-end Apple Watch styles are also up to $450 off, while 2018 MacBook Airs just received a $200 price drop (and 15-inch MacBook Pros are $400 off) at Amazon. Shipped and sold by Walmart, these watches are brand-new in box, matching the lowest prices we’ve seen on the Series 3 devices, according to our Apple Watch Price Guide. Shoppers can select from free shipping or free in-store pickup, with the latter putting the device in your hands as quickly as today at select locations. A variety of styles are also discounted, including Series 4 devices, with discounts of up to $450 off. Many models also come with a free screen protector or free band at B&H Photo. Check out our top picks below. *Eligible for free band or screen protector. B&H will not collect sales tax on orders shipped outside these states. Amazon has also issued a fresh weekend price drop on Apple devices — this time on the 2018 MacBook Air with 256GB of storage. This upgraded model has double the SSD space compared to the standard configuration and is priced at $1,199.99 in your choice of Silver, Space Gray or Gold. This Amazon deal beats competitor prices by at least $120, according to our Price Guide. Looking for a more robust configuration? 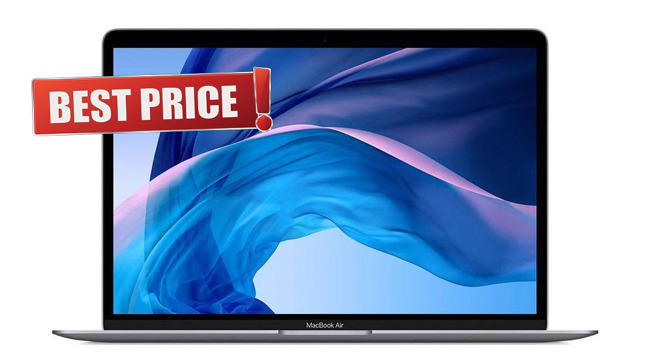 Apple’s Mid 2018 15-inch MacBook Pro with a faster processor, additional storage and upgraded graphics is also $400 off while supplies last. This $2,399 deal rings in as the lowest price available by at least $100, according to our Price Guide. Available to ship within one to two days, this slight delay indicates stock may be limited at the reduced price.